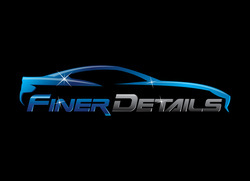 Finer Details was founded by Bob Wiener in 2011 and provides top quality detailing services in Monmouth County, NJ and surrounding areas. Some of the many services offered include interior and exterior detailing, paint correction, scratch removal, headlight restoration, odor removal, and paint coatings. Always striving to remain on the cutting edge of the industry, Bob participates in numerous educational events each year, allowing him to provide his customers with the best skills and products the industry has to offer.